A regional lawmaker from Germany has called Western sanctions against Russia “counterproductive,” and said accepting the choice that the Crimean people made in 2014 could bring peace to Ukraine. “I think that the sanctions introduced after Crimea held its referendum and was reunited with Russia are counterproductive. This is a way of escalation,” said Helmut Seifen, a member of parliament in the state of North Rhine-Westphalia, according to RIA Novosti. “Some political forces must come to power in Ukraine that would accept the will of the Crimean people. This would bring peace between the nations and ordinary people could resume their travels from Ukraine to Crimea and back. All ties would be restored,” added the German politician. 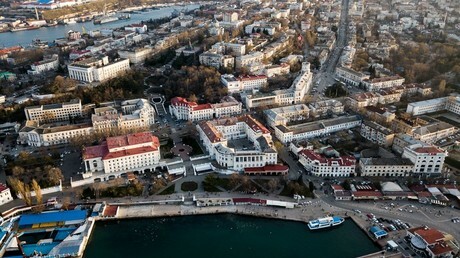 Seifen is among a delegation of nine regional lawmakers from Germany who are currently in Crimea on seven-day visit organized by the Alternative for Germany political party. The visit has already prompted threats from authorities in Kiev, with the Ukrainian ambassador to Germany stating that it would have “dire legal consequences.” Ukrainian prosecutors have also initiated a case against the German lawmakers over an alleged violation of the state border. Deputy Speaker of Crimean legislative assembly Yuri Gempel welcomed the statement in comments to RT. “Europe is waking up slowly and starting to understand that Crimea has returned to Russia forever,” he said. “As for alleged violations of human rights – German lawmakers could personally witness that all such news is blatant and unprecedented lies. They had an opportunity to talk to our lawmakers, to common citizens and to public groups, and they were really outraged by the harsh and undiplomatic statements made by the Ukrainian ambassador to Germany,” the Crimean politician added. The Crimean Republic reunited with the Russian Federation in spring 2014 after over 96 percent of the people, the majority of whom are ethnic Russians, approved the move in a snap referendum. The decision was prompted by the ousting of the democratically elected president of Ukraine in a violent coup in Kiev, and the installation of a nationalist-backed government that almost immediately declared war on pro-Russia regions in the country’s southeast, which refused to recognize the newly imposed regime. 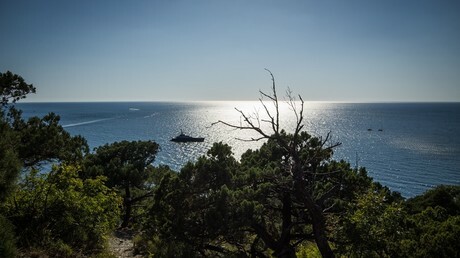 A public opinion poll conducted in Germany by TNS research in late 2014 showed that 54 percent of German citizens recognized the accession of Crimea to Russia as something that has already happened. Meanwhile, 60 percent of the respondents described the West's reaction to this event as adequate.